I co-founded UBELONG in 2009 with my friend Cedric Hodgeman to empower ordinary citizens through high-impact international volunteering and learning opportunities. In November 2014, we did something really special: a UBELONG Expedition titled Mexico: Immigration Through the Lens, a 10-day trip to help humanize the immigration debate through citizen photojournalism. I co-led the expedition with Lonnie Schlein, a former New York Times photojournalist who was part of the Pulitzer Prize-winning team for 9/11 coverage. 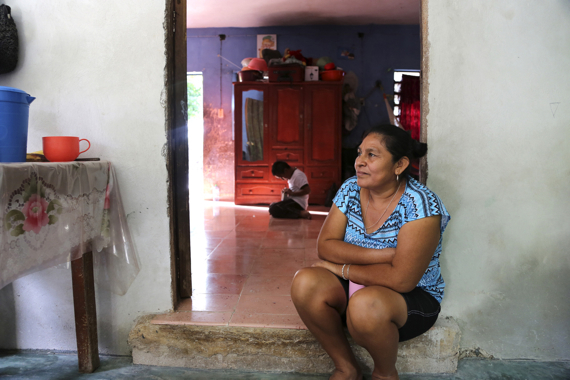 Our team -- 11 people from six nationalities -- worked in Yucatan, a non-traditional migrant-sending Mexican state with one of the fastest-growing rates of migration to the United States. The core of our project was to bring light to the human side of immigration -- a hot policy arena that tends to ignore the social, cultural and emotional dimensions of the phenomenon. Instead of focusing on immigrants in the United States, we went the opposite way to understand what's happening across the border. We conducted the fieldwork in three communities about two hours away from Merida, the state capital: Cenotillo, Hoctun and Tunkas. 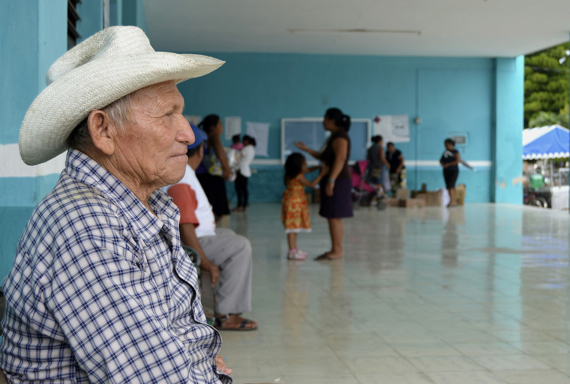 In the past 15 years, these three rural communities, classified by the Mexican Government as "highly marginalized," have lost a significant percentage of their population to the United States. 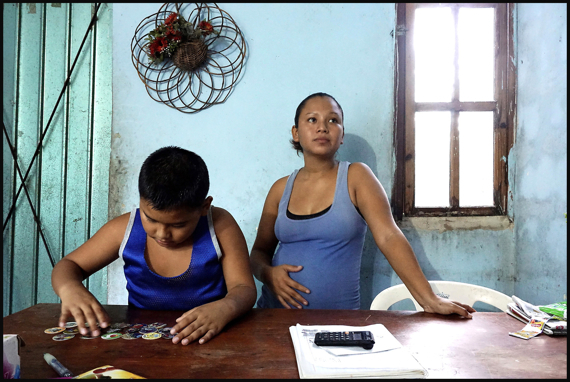 Our team interviewed and photographed 35 families. The product of our teamwork is now a photography exhibit at the Cervantes Institute in New York City. You can see below a selection of pictures and stories on display until October 24. It shows a side of Mexican immigration that Americans need to see. Even though it's very timely, this is not a political project -- it's a civic initiative to promote compassion and understanding. Recently, a journalist from Univision asked me what is the overall theme of the collection. What these immigration stories have in common, I said, is a set of universal values that has always inspired Americans. 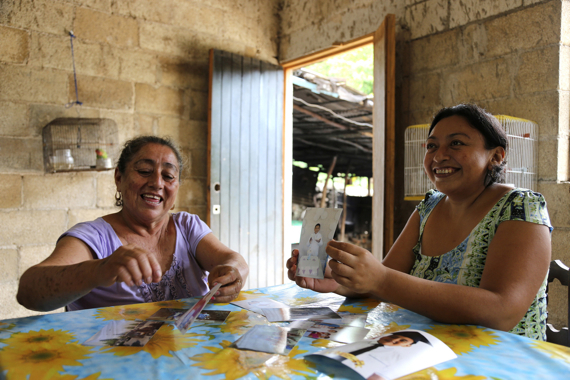 Most notably, these Mexican families embody the hope that moves us to dream a better life for ourselves and future generations, and the courage that allows us to overcome even the most challenging setbacks. Hope and courage. So when you look at the pictures, you can probably see yourself. Note: The only professional photographer in our team was Lonnie Schlein. But we believe everyone is a storyteller, and we're passionate about empowering people to make an impact in collaboration with communities across the world. If you'd like to be part of the next UBELONG Expedition, Ghana: Child Labor Through the Lens (March 11-20, 2016), we are now welcoming applications from motivated individuals who want to make a difference. 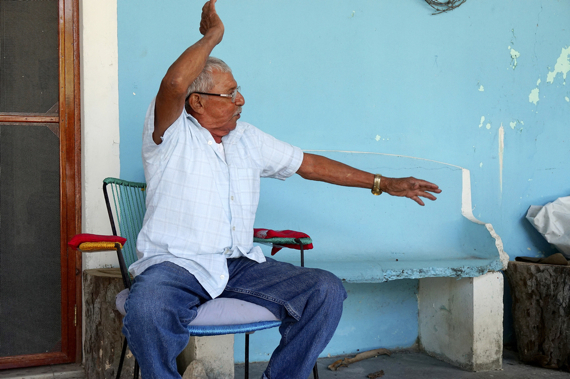 Candido, 81, worked intermittently for a decade in California as a "bracero", over 40 years ago. "Times have changed. Crossing the border has always been very difficult but it's even tougher today. And the worst thing about it all is that you don't even know if you can get a job. It's taking a risk for a life that may be unachievable. I would tell young people not go." Mari, 24 years old, with her son Jose, who was born in Orlando, Florida, during the seven years she lived there. "My mother and my two brothers are still in Florida. My dad was deported the five times he tried to reunite with us there. I returned to Merida two years ago to be here with my dad." 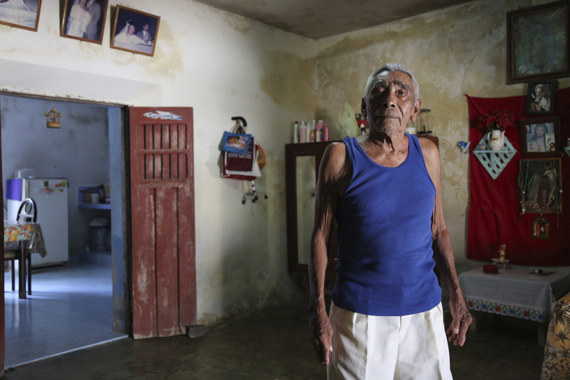 Miguel "El Huerito," 70, returned to his village after spending 10 years in California. "They gave me a job the first day I arrived in the United States. I sent money to my wife every fortnight. She bought land and began to build our house. One day she told me, 'The work is finished. Whenever you are ready to return, you will be coming to your own home.'" Juan, 72, telling the story of how he crossed the border. "I ran and ran and ran, and I fell down and continued running; they almost caught me several times but I continued running because I was thinking of my family. I had to reach the United States, and I had to make enough money to feed my people. You cannot maintain a family here in Mexico." 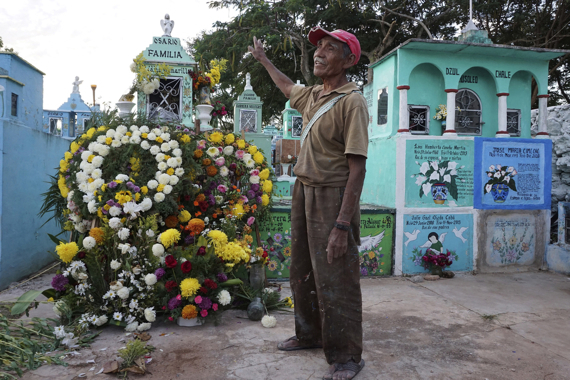 Anacleto, 85 years old, has been the caretaker of the Hoctun cemetery for 50 years. "She was buried yesterday. She was 72. Fifteen years ago her five sons left for the United States. They could not be here for the funeral. They will never come back." 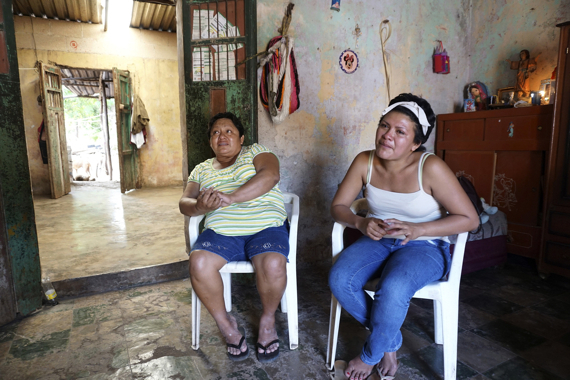 Celia, 44, and her daughter Karime, 26, have parallel lives. Both married husbands who left for the United States shortly after marrying them. Karime summarizes a common feeling among women in her hometown: "When our husbands leave we all have hopes that they will return soon. But almost nobody comes back home. My husband left in search of the American dream, and on the way he lost his family and I lost mine." Clara and Wendy, the mother and the wife of Steve -- a Hoctun native who migrated to the United States 12 years ago -- showing family photos. "We are two women waiting for the same man. We pray every day that he comes back soon." 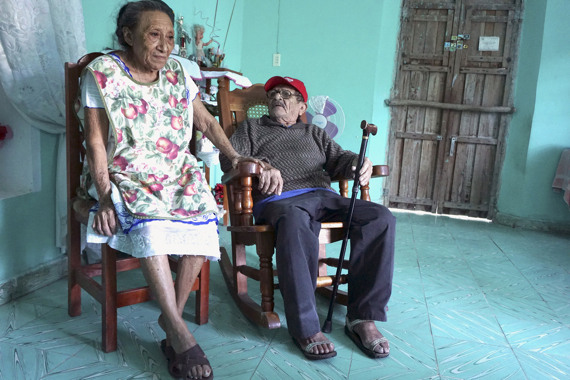 America Libertad, 80, and her husband Mario, 81, at their home in Cenotillo. Their four sons have been in the United States for decades, and now have Green Cards -- mostly benefiting from President Reagan's amnesty. Their first child crossed the border at age 14. Mario says: "Migration to the United States has destroyed the culture of marriage in our village. With so many men going north this place became a mess. Crossing the border has broken so many families." 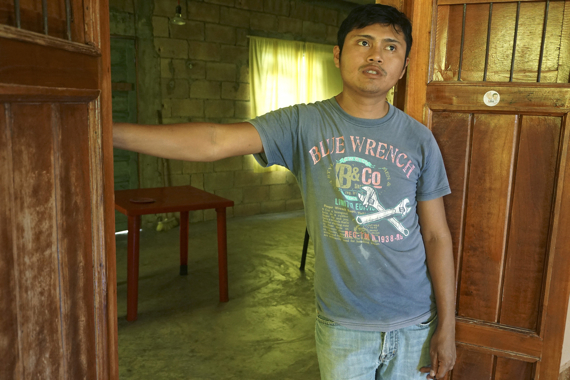 Wilberth, 29, at the new home he built with the money he earned in the United States, where he lived for nine years. "I came back to Mexico four years ago. After my sister married and moved out of the apartment we shared in Denver, loneliness overcame me. I felt very depressed and decided to return home. Sometimes when I look back, I wonder if I made the right decision". 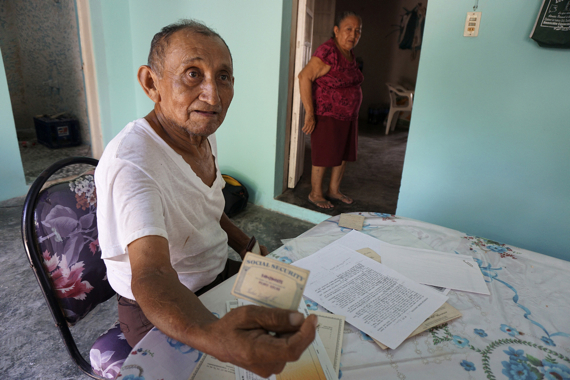 Pedro, 73, showing his U.S. Social Security card from 1964, when he was hired as a "bracero" to work in agriculture in California. "After my contract expired, I returned to Mexico. Shortly after, I crossed the border without papers. I wanted to stay there, but there was no chance. When you are undocumented in the U.S., you can't be free. In the late sixties, we were always scared. But I miss California." 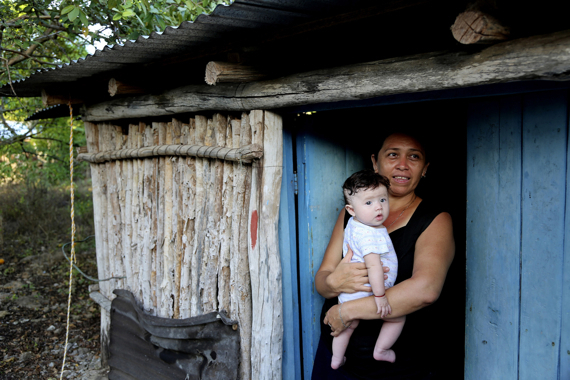 Sonia, 41, with her four-month-old granddaughter. Her husband left for the United States 17 years ago and has not returned. "People change when they cross the border, but often for the worse." 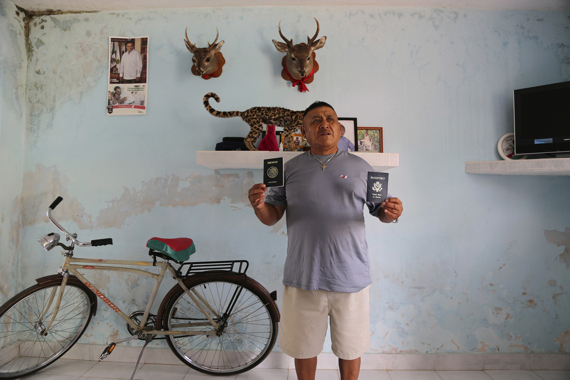 Juan Casanova, 47, showing his American and Mexican passports at his home in Hoctun. "I worked so hard and struggled so much to build a better life for my family. I'm very proud because I did it the right way, and then I came home. The American dream helped me build the Mexican dream." 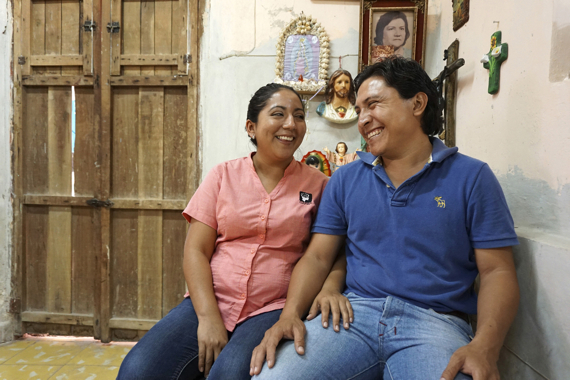 Raimundo, 28, and his wife Lucia, 29, at their home in Tunkas. Raimundo recently returned to his hometown after spending a few years in the U.S. as an undocumented immigrant. "People have good houses here because they have relatives in the U.S. We are thankful that our parents sacrificed so much as immigrants to give us a better life, but we felt abandoned growing up here. I returned home to be a true father figure for my child." 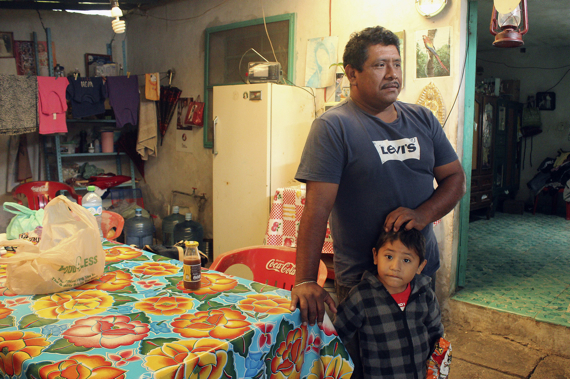 Ananias, 40, and his son at their home in Cenotillo. "I know there is the potential to make lots of money in the United States. But my experience as immigrant included lots of partying, drugs, and even time in prison, so I also know that you run the risk of paying a very high price. If I ever go back, I would do it legally and live the American dream the right way". Maria, 48, at her home in Tunkas. Her husband migrated to California over 20 years ago. He has been deported several times, but now lives in L.A. "Every time I ask my husband when he's going to come back, he says he'll come back when he's able to afford a plane ticket. It's always the same story. In all these years he has not saved any money. He drinks a lot, and I know he's not happy there." 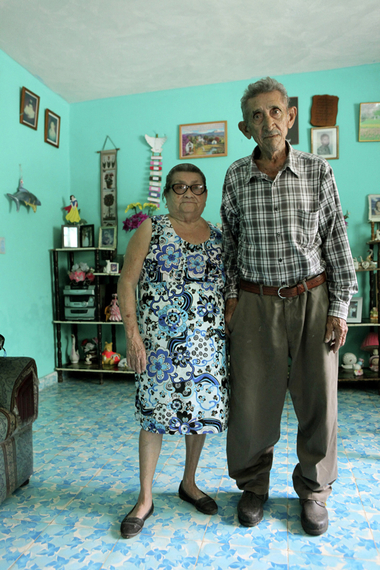 Martha, 81, and her husband Faustino, 84, a couple who now have children, grandchildren and great grandchildren living in the United States. Martha says: "We are happy that almost our entire family has a better life in the United States, but we're also sad that our culture and way of life are slowly disappearing from the future of our family." The UBELONG exhibit "Mexico: Immigration Through the Lens -- The Human Side of Mexican Migration to the United States" is open at the Cervantes Institute in New York City until October 24. M-F 11:30AM-7PM, Sat 10:30AM-1:30 PM, at 211 East 49th Street.